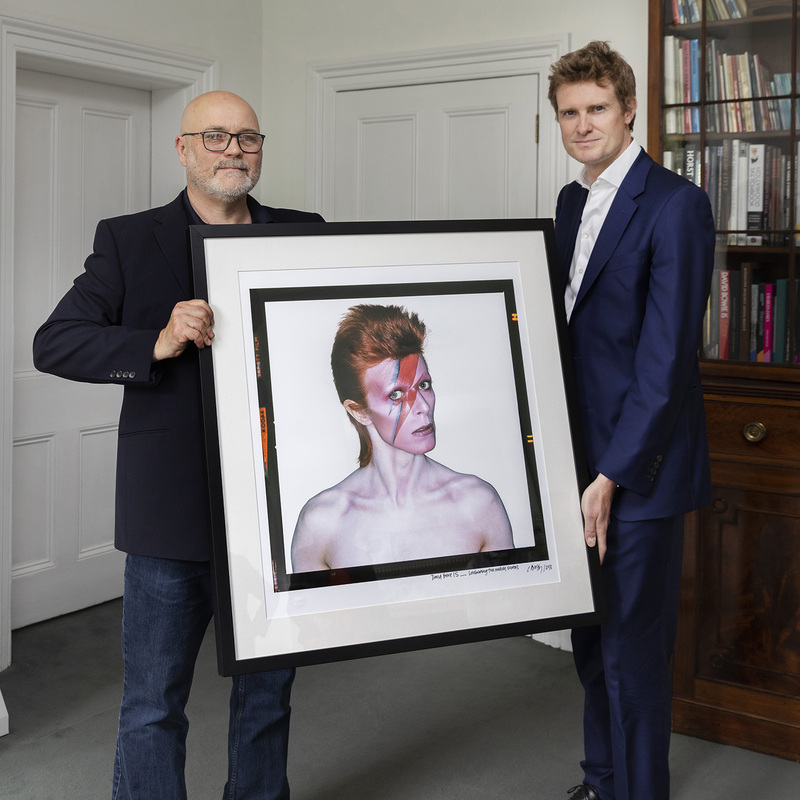 Press: Digital Photographer – Proud Camden presents Any Day Now: David Bowie – The London Years (1947 – 1974), an exclusive photographic portrait of the icon’s formative years in London, in conjunction with the publication of the book of the same title. 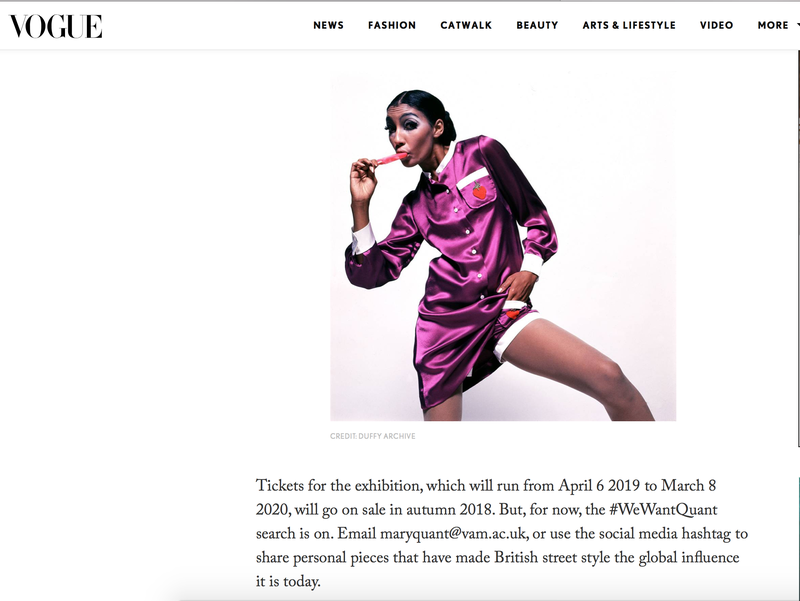 This exhibition charts the rise of one of the most influential artists of our time, David Bowie, from his birth in London in 1947 to the height of his success in 1974 with the release of his album Diamond Dogs – and his departure from the UK. quintessential Englishness bear testimony to his enduring appeal. 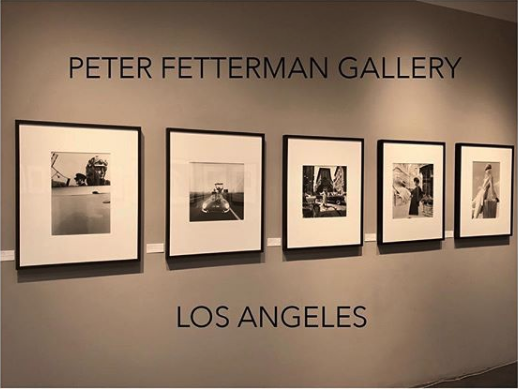 Including rare and unseen portraits from photographers including Terry O’Neill, Ray Stevenson, Brian Duffy, Geoff MacCormack, David Bebbington, Jak Kilby and Bob Solly among others; this exhibition provides an insider’s view into the early years of one of the most successful and stylish recording artists of all time who has sold over 136 million albums since his rise to success in the late 1960s. 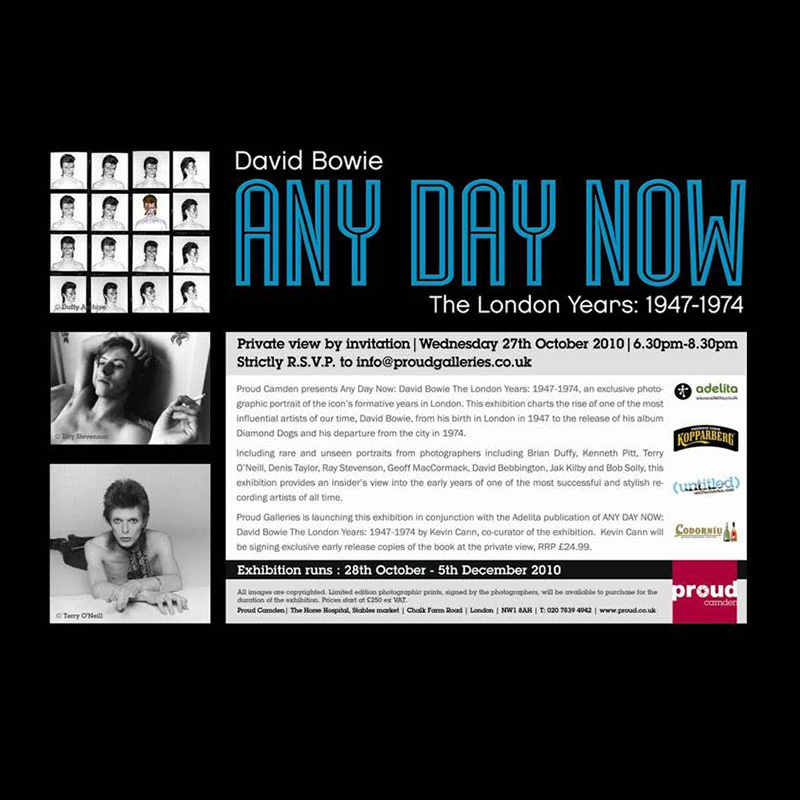 Proud Galleries is launching this exhibition in conjunction with the publication of ANY DAY NOW: David Bowie – The London Years (1947 ­ 1974) by Kevin Cann, co­curator of the exhibition. ANY DAY NOW, published by Adelita Ltd. Spec: 336pp, paperback, 280mm x 230mm, RRP £24.99.